Our renowned orthopedic and sports medicine specialists in Southwest Florida offer cutting-edge diagnostic and treatment techniques delivered with a personal touch. Experts in the complexities of the musculoskeletal system, our doctors utilize the least invasive method available to treat pain, joint dysfunction, ligament and tendon tears, fractures, and other concerns. 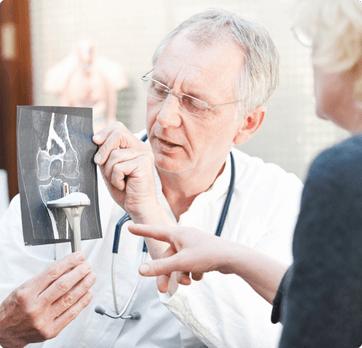 When conservative treatments are exhausted, rest assured that our orthopedic surgeons are skilled at performing minimally invasive procedures to help you quickly and safely return to function – better than you felt before. Pain and limited mobility shouldn’t keep you sidelined from life. Please request an appointment with one of our joint specialists in Punta Gorda today, or call us at (941) 637-BONE (2663). It’s time you return to living life without the physical limitations of a musculoskeletal condition.